Swimming | What is ML Reading? I am fortunate ML was never truly afraid of the water. She was cautious, but not fearful. With a few swim lessons under her belt, she was ready to dive in. 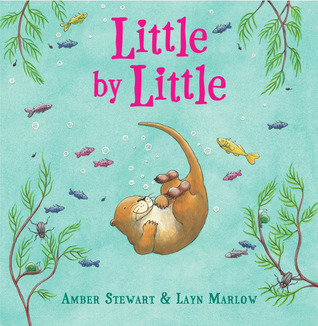 If you have a child that is reluctant about swimming, read them Little by Little by Amber Stewart. Her book is the best I have seen to encourage young children to conquer the fear of swimming. This entry was posted in Picture Book and tagged Courage by mlreads. Bookmark the permalink.